It wasn’t long ago when Jose Berrios was a regular fixture on the Twins Daily Minor League Report. On Sunday, he found out he had been selected to his first All-Star Game. Top pitching prospects like Fernando Romero and Brusdar Graterol were both on the mound on Sunday and they hope to follow in Berrios’ footsteps in the years to come. OF Tanner English placed on the disabled list at Chattanooga with a lower back strain. INF Taylor Motter transferred to Chattanooga from Rochester. Rochester pitchers allowed five runs over the last three innings to end up on the wrong side of this one. Fernando Romero was strong for seven innings as he limited the Iron Pigs to two runs on four hits. He struck out six and didn’t walk any. His Triple A ERA is down to 2.04 for the season. Every relief pitcher saw one run scored against them even if it wasn’t earned. Adalberto Mejia committed a throwing error in the eighth inning that eventually allowed an unearned run to be scored against him. John Curtiss ran into trouble in the ninth with two former Twins prospects, Trevor Plouffe and Danny Ortiz, starting the rally. Curtiss was charged with his second blown save after allowing two earned runs. Tyler Duffey took the loss after allowing the game-tying and winning run to score in extra-innings. Rochester racked up 13 hits in this one but it wasn’t enough. 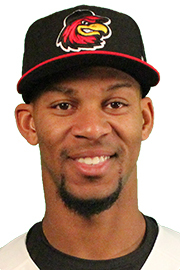 Byron Buxton went 3-for-5 with a double and a run scored. Kennys Vargas drove in a pair of runs as part of a three-hit effort. Nick Gordon also joined the hit parade by going 2-for-5 with a double and two runs scored. The Lookouts left nine men on base and went 0-for-5 with runners in scoring position to take the loss on Sunday. Luis Arraez went 3-for-5 at the plate and Zander Wiel collected his fourth home run as part of a two-hit game. Ryan Walker also reached base three times. Of the team’s 10 hits, Wiel had the lone extra-base hit. Omar Bencomo took his third loss but he allowed only one earned run over six frames. In the second inning, Taylor Motter committed a throwing error that allowed multiple unearned runs to score. Bencomo uncorked a wild pitch in the fourth inning that eventually lead to another run. He finished with four strikeouts and one walk. Paco Rodriguez pitched two shutout innings with a pair of strikeouts to end the game. One big inning was all it took for Fort Myers to see the rubber game of this series slip through its fingers. The Miracle took a 3-0 first inning lead thanks to a two-out double from Taylor Grzelakowski that plated two runs. It was his 10th double of the season and he would eventually score on a Caleb Hamiton single. Top pitching prospect Brusdar Graterol made it through the first six frames relatively unscathed. He allowed one run in the third but he seemed to be sliding by nicely. The seventh inning was when he ran into a little trouble. Back-to-back one-out singles meant his day was done. Overall, Graterol went 6 1/3 inning, allowing three runs on six hits. He struck out five and walked two while hitting 101 mph multiple times during the game. Unfortunately, Hector Lujan replaced Graterol and allowed both runners to score along with three other runs. Lujan wasn’t able to record an out. Adam Bray pitched 1 2/3 scoreless innings to finish the game. His ERA lowered to 1.08 on the season. Miguel Sano finished 2-for-4 with a pair of strikeouts. Up one run in the final frame, it looked like Cedar Rapids would take a 2-1 series lead against Kane County. However, the Cougars flipped the script with back-to-back two-out RBI hits and ended up walk-off winners in the one. Bryan Sammons continued his strong pitching performance but he saw his 20-inning scoreless streak come to an end. He pitched into the sixth inning and limited Kane County to one earned run. Overall, he pitched 5 2/3 innings with six strikeouts and two walks. Every batter in the Kernels line-up reached base at least once. Akil Baddoo went 3-for-5 with a triple and two runs scored. Jose Miranda drove in two runs as part of a two-hit day. Robby Rinn added his 11th double and came around to score a run. Calvin Faucher suffered his first blown save after allowing two earned runs on four hits in 1 1/3 innings. Ricky Ramirez took the loss and the blown save after allowing two runs over the last 1 2/3 innings. He struck out two and didn’t walk any. Hits were few and far between for the E-Twins as the club only had five hits. Trevor Casanova reached base three times including two hits and a run scored. Yunior Severino and Alex Robles both went 1-for-4. Albee Weiss reached base twice. Austin Schulfer allowed one run on five hits in 3 1/3 innings. He struck out two. Brian Rapp took over for Schulfer and pitched 3 2/3’s scoreless innings with a pair of strikeouts. Juan Gamez allowed a pair of runs over the last two innings for his first loss. Can we get Romero back up to the majors? The team could really use him. I guess they're probably eyeing Ervin Santana to get Slegers' rotation spot... and they'll probably give him it even if he can't top 90 MPH. Anybody hear of a timeline for Trevor Larnach and his arrival in Elizabethton? I know he was going to take a few days off after signing and then head to Fort Myers for some orientation. Maybe later this next week? Does anyone have any information about Buxton? I'm guessing a little bit longer... I 'THINK' I heard him say something like two weeks on either the telecast of the radio broadcast. Seemed like a long time, but I wouldn't blame him or the Twins for letting him take a little more time off after the long college run. If he gets to E-Town in another week, that'll give him about 6 weeks of pro game action this year, which is plenty. Get him to Instructs and then let him get ready for spring training. Twins farm 0-5 on the day. A winning tradition. Hey, Buxton got some hits, and didn't strikeout! As Vargas' bat heats up, I have to believe he would be more productive than Morrison.And after three games to get settled into AA, Arraez gets a 3 hit game.Really is one of the better stories from the organization this year. 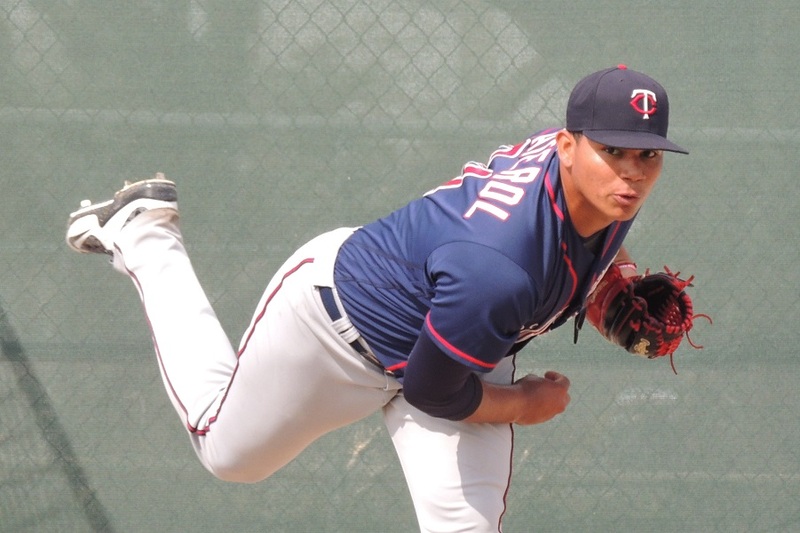 Yesterday was Thorpe-Jax-Balazovic.Today its Romero-Graterol.Graterol's start wasn't perfect, but the kid is only 19 and pitching at Hi-A.Is it realistic to expect/hope that at least two, or three, of these kids can develop into top line starters for the Twins? Speaking of 19 year olds, there are four young men at Cedar Rapids who are either 19 or just turned 20...Baddoo, Pearson, Lewis and Miranda.Its going to be fun watching this group move up the ladder, hopefully, all the way to the Twins in 2-3 years. Encouraging, though worth noting that the starter for the other team has a pretty low K rate (15.8% or 6.6 K/9, versus league averages of 22.3% and 8.5), and 4 of Buxton's 5 PAs were against him. Good to know. I was curious if his hits were line drives or ground balls, if he is swinging out of the zone, etc., but this is helpful too. Soooo safe to say innings reduction isn't a concern for Romero? I have no idea whether I can trust minor league Gameday, but according to that, all of his swings were on pitches in the zone (a couple were on the edge). That appears to be the case. 94, 98, and 95 pitches in 3 starts since his demotion. At this point there isn't any value in stretching him to the end of the season. Just let him keep throwing per usual to build him up for next year. Wind him down once he starts wearing down or hits his innings cap. If he's still going strong in mid-July that should bode well for pitching a full season next year. We were slightly closer, and our playoff odds slightly better, at the time of his demotion. At the time, we were just a few days removed from being within 5 games of first place, with 25+% playoff odds (per Fangraphs "season to date stats" mode). Also, I'm not sure there wouldn't be benefit to stretching him through the end of the MLB season, if he is capable. If we shut him down before September again, I am sure we will hear about it next year as another reason to be cautious with him. Getting him accustomed to the longer MLB season might have as much verifiable benefit as keeping him on an innings limit, etc. Frankly I don't even care, I think they could have probably kept him on his regular MLB turn until it was time to shut him down. His demotion was because he was struggling a little and they wanted to get him sorted out. Maybe they saw a couple things they wanted him to focus on in a lower pressure environment before they got worse. I don't see the problem with that. As far as innings go, does it make much of a difference if he throws 60-70 pitches per game through the end of the year vs 95 and is shut down in mid-August? Either way I think it sets him up with the same potential for a full season next year. The latter at least keeps his rhythm and routine consistent. What is Trevor Plouffe (Red Wings report) doing, 32 and still kicking around in the minors?You'd think he'd take the hint, either become a coach or get a real job. We were at the Chattanooga game last night, and as Cody mentioned... they weren't clutch with RISP. Although the one caveat to that is Rooker. He absolutely scorched a groundball to the left side that the 3B for Jax had to make a ridiculous diving stop to grab and just barely beat the runner at second for the force (when Rooker makes solid contact, wow...). Bencomo didn't pitch all that poorly, but nothing he threw really jumped off the table though. He was sitting between 88-90 all night, although he did seem to have a fair changeup working. Other than that... he looks like your typical journeyman innings eater. The real killer was the throwing error by Motter with two outs. It was a fairly hard hit grounder to short, and he would have had time to set his feet... but he rushed, and uncorked a throw that was two to three feet outside of Rooker's reach up the first base line. Wiel's homerun was a scorching line drive to left center that exited the park in a real hurry and was never in doubt. AA- Wiel, Rooker, Arraez,Three guys to watch.Vargas,Buxton,Wade at AAA. I was thinking more giving him a break, like the Astros did with McCullers back in 2015. I wouldn't want to be pulling him at 60 pitches every game. I don't necessarily see a problem with that either, although the fact that they waited until after Odorizzi had a bad start to send down Romero suggests that maybe their priorities and reasoning weren't quite so clear as you claim. I suppose. The overall workload doesn't change much either way. I guess I just place extra value keeping the routine and practicing the same way you play (assuming playoffs are out of the question this year). If he loves the game and his family is cool with it, why? He's already made enough money (about $20M per Baseball Reference) to live comfortably for the rest of his life (unless he's been dumb with money, which he doesn't strike me as that type). Honestly, in the modern game, you don't really have to limit his pitch counts or give him much extra rest to control his innings. A lot of guys are only averaging 5 IP per start anyway.